Breastlink Temecula Valley is dedicated to helping women with all of their breast health care needs. We offer an expert, dedicated team of healthcare professionals and a one-stop destination to meet the needs of all women in Temecula Valley. 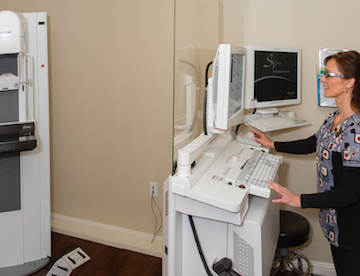 Breastlink Temecula Valley conveniently offers a wide range of services to meet all of your breast health needs. For more information about our services please click on a button below. Dedicated to Improving Breast Health. Our team is bound by one goal — to deliver optimal results for all of our patients. Our staff is committed to being the best at their craft. At Breastlink Temecula Valley, we are constantly striving to enhance our knowledge and understanding of the unique issues surrounding breast health. We believe patient education is an important aspect of treatment. Education begins the moment you walk through our door and does not stop until your last visit. We believe patient education empowers women. We treat patients as active partners throughout their care. Knowledge empowers you to make informed decisions about your health and your treatment decisions. We believe breast health is a highly personal matter and we treat all of our patients as individuals. Our team considers patient treatment decisions within the context of their own values and emotional well-being. At Breastlink Temecula Valley, patients benefit from an experienced and dedicated team of patient advocates, researchers, technologists and fellowship-trained breast cancer specialists.